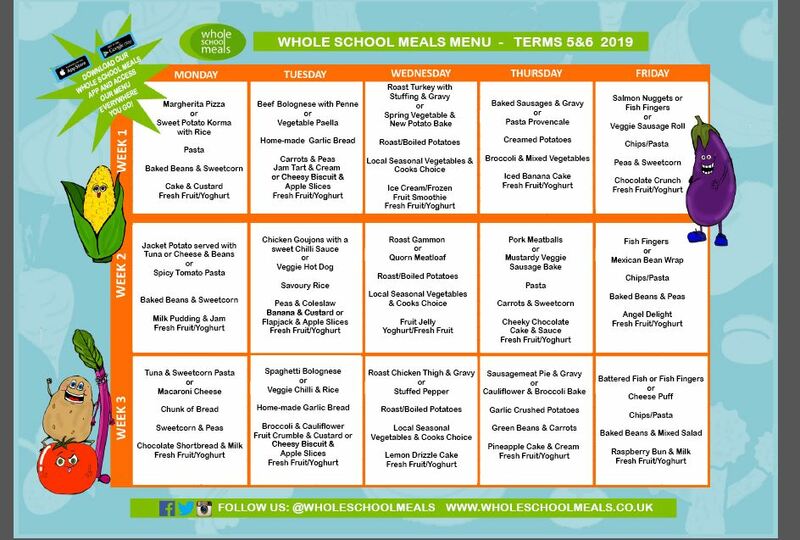 Our school meals are provided by Whole School Meals. All meals are cooked in our school kitchen. There is a three week menu which is changed three times per academic year. Children in year R, 1 and 2 are offered a free school meal funded by the government. For children in years 3,4,5 and 6 the cost of a meal is £2.20. If you are entitled to Free School Meals because you receive certain benefits then please let the school office know. It is important to register because we receive funding from the government called Pupil Premium. You can seen on the website what we spent this money on. If your child has any allergies which require a special menu please ask for a special diet form at the school office.